The release of Android’s newest OS is just around the corner. Right now, two companies are racing to get Android Lollipop on their devices first. It seems logical that the first phones to receive the Lollipop update would be Google’s own Nexus line, but LG might be ahead by a small margin. 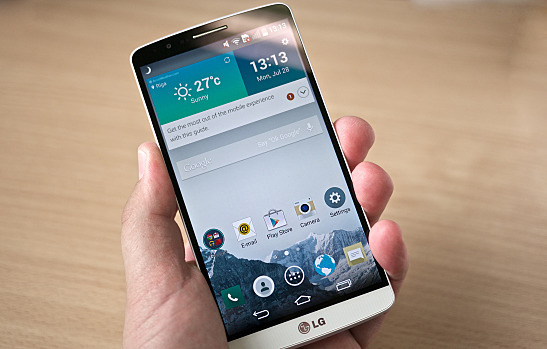 Its LG G3 flagship smartphone is scheduled to receive the Lollipop update later this week. LG “will start sending out the new version of Google’s mobile operating system this week to owners of its latest flagship smartphone, the G3,” CNET reports. The rollout won’t be a global release: The first G3 phones to receive the update will be the ones located and bought in Poland. There is currently no absolute release date for the new OS in other countries, but CNET reports that Lollipop will spread internationally in “the near future.” Sources have told TechRadar that LG G3 owners in the United Kingdom can expect the update by the end of November or the beginning of December. According to the International Business Times, Google was expecting to roll out Lollipop on certain Nexus phones and tablets last week, but some bugs popped up with the OS and needed fixing. Google has decided to take a little extra time to get some of its ducks in a row. What this news ultimately means is that Android Lollipop is coming and it’s coming fast. Although the first updates will roll out only in Poland, the release will soon spread to other phone models and other countries over the next month or so. Whether all compatible phones will be updated by the end of the year is unknown, but it looks like premium phones will be the first to get the new OS. Which device are you using? Will you be installing Android Lollipop when it becomes available for your phone?